Barcelona line-up: Valdés, Alves, Pique, Mascherano, Jordi Alba, Busquets, Xavi, Iniesta, Pedro, Lionel Messi and Alexis Sanchez. The winner of last season’s La Liga Barcelona, and the Copa del Rey title holder Atletico Madrid, faced each other last night for the Spanish Super Cup 1st leg, on a match held at the Vicente Calderón. 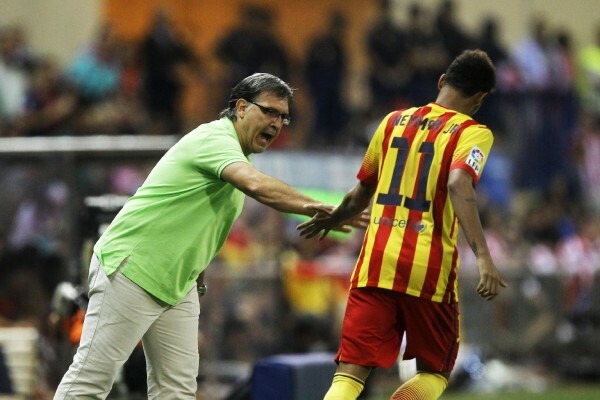 Tata Martino preferred to play safe once again and left Neymar on the bench for the second straight time. As expected, Diego Simeone’s men presented themselves very organized on the pitch and didn’t concede many opportunities for the visitors to create danger. The first goal came for the home side still very early in the first half, after a spectacular play from the Colchoneros. David Villa showcased all his talent and finished off brilliantly a 1-touch passing combination with Arda Turán. The Asturian forward scored his first official goal for Atletico Madrid with a stunning volley and surely made many Barça fans to feel sorry for having dismissed his services earlier this summer, for a 5 million euros symbolic transfer fee. Barcelona have never managed to get loose from Simeone’s defensive and counter-attack strategy during the first 45 minutes and Tata Martino’s response would inevitably have to come from the bench after the break. Lionel Messi had to come off after the half-time break as he appears to have picked another injury after complaining of some pain on his left leg thigh, which immediately made room for Cesc Fabregas to come in. Nearly 15 minutes later, Pedrito got replaced for Neymar and the Brazilian made sure his time on the pitch would be well capitalized shortly after. 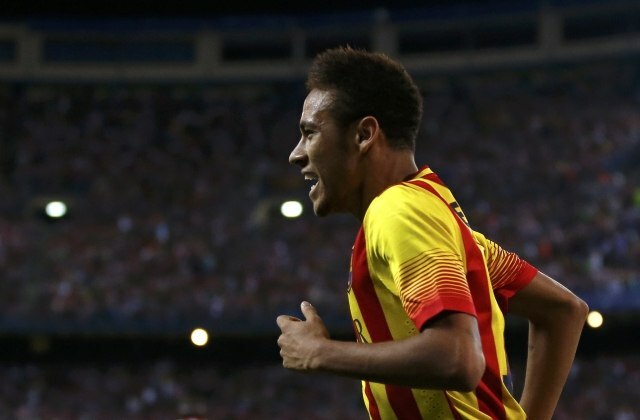 With 66 minutes on the clock, Neymar responded to a cross from Daniel Alves with a header and beat Curtois for the first time on the night. It was an unusual goal from the 21-year old, but he surely won’t mind having scored it in such way. 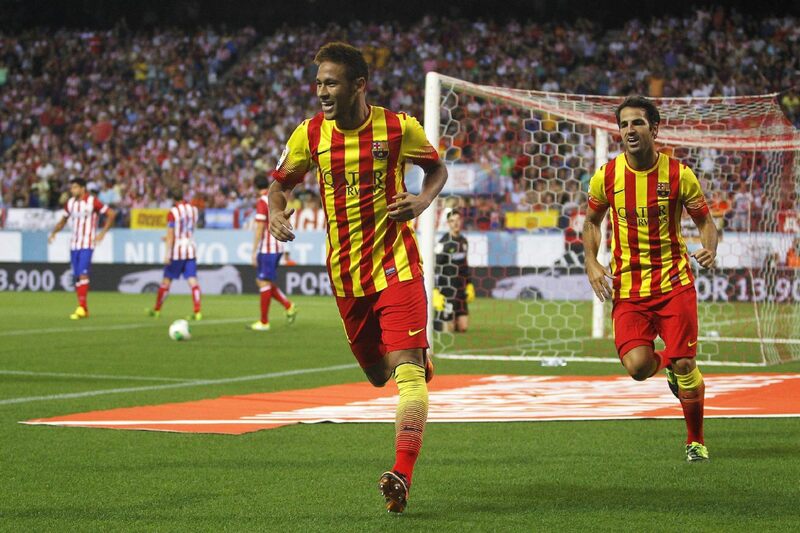 Barcelona and Atletico Madrid will meet again next week at the Camp Nou, for the 2nd leg of the Spanish Super Cup.